The first video showing off gameplay footage from the upcoming next-gen title Sunset Overdrive has been released online. The game comes from developer Insomniac Games, who are known for the Spyro, Ratchet & Clank, and Resistance franchises. The game is a third-person open-world action shooter, offering multiple ways to navigate the map quickly, plenty of explosive colors, unique respawns, and a variety of outrageously creative weapons with which to dispatch of the army of mutated beasties created when a new energy drink called was released to the human race. You can check out the first gameplay video below. 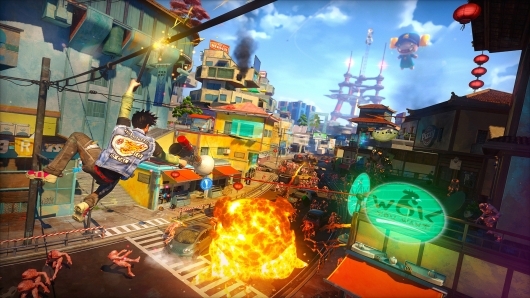 Sunset Overdrive is a Microsoft exclusive, being released only on Xbox One this fall.